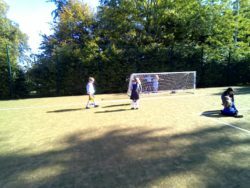 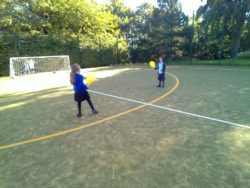 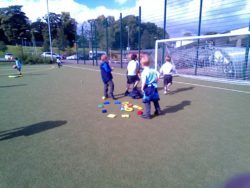 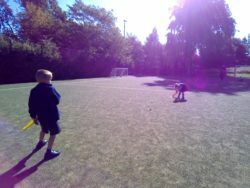 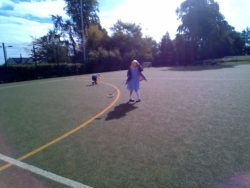 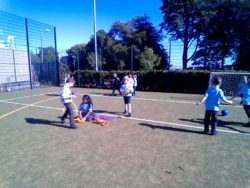 Rooms 3a and 7 have been enjoying the opportunity to play with their friends on the astro. 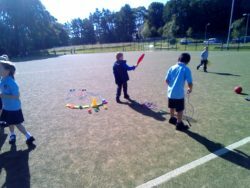 They have chosen from the variety of equipment provided and created some fun activities. 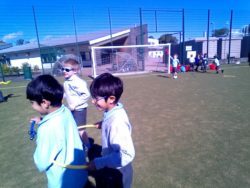 At the moment, the children are working towards a social goal of sharing and involving everyone, not just special friends.